My eyelashes always need to be separated a little after applying mascara - this is 3 coats. I loved it made them look nice, dark and long! Perfect! So for $12 a month I recieved $30 worth of product. I'm not sure if I will always wish for a Privé as it is a little more fun to get a few more products, but I am happy with my first month! Do you get Topbox? What did you get in your June 2014 box? Hi there - no this mascara isn't waterproof, just smudgeproof! it is waterbased actually so may come off quite easy in water! you would think with summer around the corner one of these boxes would send out a good waterproof mascara! This was first topbox so when i got the email to pick the prive boxes I wasn't sure what to do - i will probably opt for a regular one next month, a full size is great but it's fun to get more than 1 product!! Thanks for sharing your blog too, i will check it out! 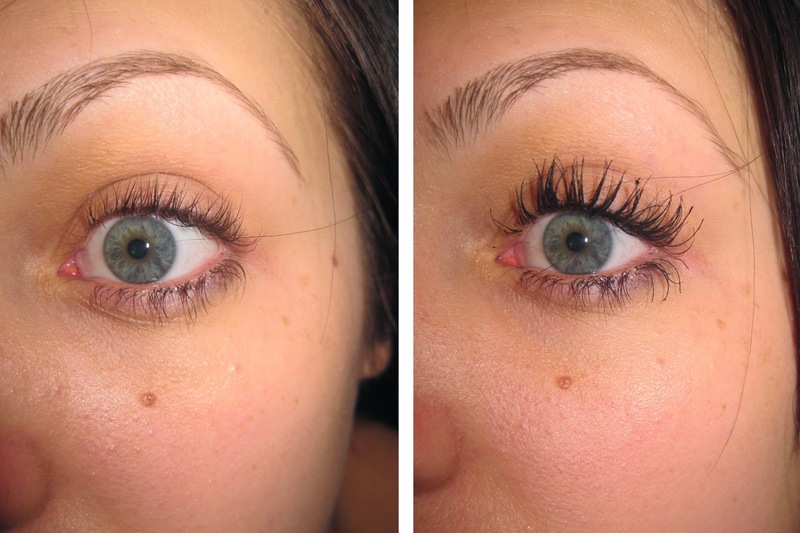 It's definitely not good when your lashes look better BEFORE mascara than after! Ooopsie, meant to post that on your other mascara pic! This one is lovely!